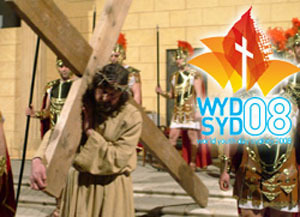 The story speaks for itself, as reported by the Sydney Morning Herald: “World Youth Day organizers in Sydney, Australia, have altered the traditional pattern for the Stations of the Cross in a bow to ecumenical and inter-religious sensibilities” (May 29, 2008). The Stations, billed by WYD organizers as “a key spiritual and evangelical moment of the week,” will take place in Sydney on July 18. During this “evangelical moment,” only eight of the traditional Stations of the Cross that Catholics have made since the earliest days of the Church have remained intact. Instead of 14 Stations, now there are 13. Six of these were changed completely; two (Stations 10 and 11) were combined. The texts were also shortened and changed, based entirely on the New Testament. The most important consideration for Catholic prayer at Catholic events, it would seem, is not to irritate Protestants or inflame “anti-Semitic feelings.” Such watered-down, ecumenically-correct events, in my opinion, have lost their right to be called Catholic. When I told my friend Jan about the changed Stations, her first reaction was to make light of it. She had wanted to believe that the WYDs under Benedict XVI would not be the ecumenical extravaganzas like the Woodstock and Assisi “happenings” conducted by JPII. Bishop Fisher explains the new text of the Stations "won't irritate anyone"
Unfortunately, the message this changed Stations of the Cross sends is very important. What the updating of the centuries-old structure of the Via Crucis transmits to youth is that everything can change. In the spirit of Vatican II, everything evolves – liturgy, customs, prayers, long-established pious customs, and even dogma. Everything can and should be updated. That is, at least, the implication. Why this new rendition of the Stations? Behold, we have the second message sent to Catholic youth: We don’t want to hurt or offend any of our non-Catholic “friends,” be they Protestant, Jewish, Muslim, Buddhist or pagan. This is the new evangelization that has been promoted at the World Youth Days - the way to evangelize is to not offend the enemies of the Church. Let’s dance and sing together; let’s meditate, hold hands and hug; let’s even pray together, giving everyone the space and liberty to address the god/gods he so desires. The only thing forbidden in the WYDs is teaching the Catholic Faith without prevarication, without compromise. In my opinion, this kind of “evangelization” does not deserve that noble name. I was expecting the next objection of my friend Jan. The ones responsible for this change are the progressivist Prelates of Australia, she insisted. The Pope just didn’t know, and if he had, he would have stopped the event. Now it was too late. First, I don’t believe it is ever “too late” for an authority to stop something that will have a destructive effect on the Church, especially on the youth who so desperately need solid instruction in the Faith. Second, it is highly unlikely that Benedict XVI disapproves the initiative. One need only look at the recently released papal schedule for the Sydney World Youth Day to know that he fully sanctions such initiatives that are in perfect accordance with the Vatican II ecumenical revolution. On July 18 at the first major WYD event over which he will preside, Benedict will lead an interfaith prayer service with Protestants and Schismatics in Sydney’s Catholic Cathedral. This will be followed by a meeting with Jew, Muslim, Buddhist and Hindu religious leaders. (4) That afternoon, he will open the “non-offensive” Stations of the Cross. Three ecumenical events in one day - the whole day, in effect, spent dialoguing and “not offending” anyone. This is the "spirit of Vatican II" in action, fully supported by Benedict XVI, who with his lips speaks out against the dictatorship of relativism, while with his actions he warmly supports it. Such a way of acting is duplicitous – even if the person is a Pope. I have heard that traditionalist groups, still giddy over the issuing of the Summorum Pontificum, are organizing busloads of traditional Catholic youth to assist at the WYD as a sign of their gratitude to a supposedly reformed Vatican. I would hope they think about the consequences of this support. 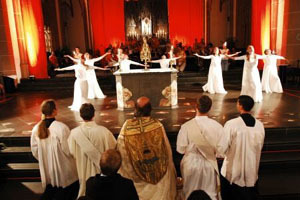 Priests and parents make great efforts to teach and maintain the Catholic traditional prayers and liturgy; then they send their children to an event rife with the modern liturgy and novelties, including a revised Stations of the Cross. On one hand, they teach the youth that there is only one true Faith, outside of which there is no salvation. 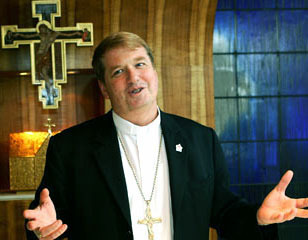 Then, in a contrary action, they invite their children to join the ecumenical WYD where everyone practices the opposite. Is this consistent? Is it a true love of a priest for his flock and good parents for their children? 1. 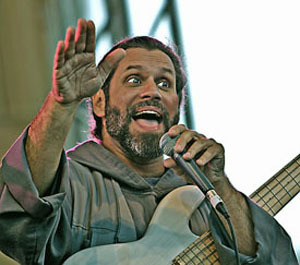 “Stations of the Cross altered for World Youth Day,” CWNews online, May 29, 2008. 3. “Pope to meet leaders of other faiths,” The Age online, May 28, 2008.